A one-of-a-kind place for children is coming to Kansas City in 2019. KANSAS CITY, Mo. 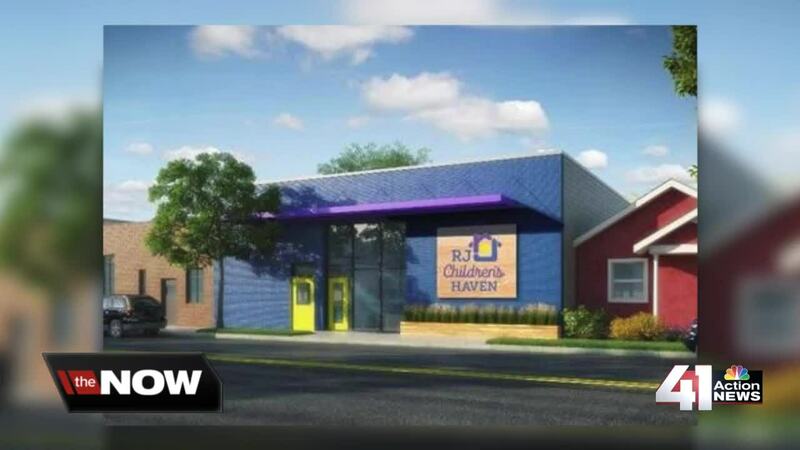 — A one-of-a-kind place for children is coming to Kansas City in 2019.
RJ Children's Haven will provide physical and occupational therapy for children recovering from cancer and other diseases. Karen Anthony is the president and CEO of the soon-to-be safe environment for kids. RJ Children's Haven will allow children to be around each other during recovery, while often times their fragile immune systems keep them isolated. "They'll see other children just like them," Anthony said. "They don't have to be lonely and totally isolated while they're in this environment of therapy." The building is just blocks away from Children's Mercy Hospital and will be equipped with a special ventilation system, with visitors not allowed to wear shoes inside. Anthony said these things will help protect children from germs and from getting sick. RJ Children's Haven has been a plan nearly a decade in the making. The Kansas City community has raised more than $800,000 for renovations that will begin in April. "We're doing something that no one else has ever done. I'm just so proud to see all of these companies come and say, 'I want to be a part of this because I want to make a difference in these kids lives,'" said Anthony. The facility is scheduled to open in August. Anthony said she hopes RJ Children's Haven will allow some parents to be able to go back to work, while trusting them with their child and recovery.